What does the next generation think of today’s issues? The Big Smoke’s Next Gen program publishes Australian students mentored by TBS writers. 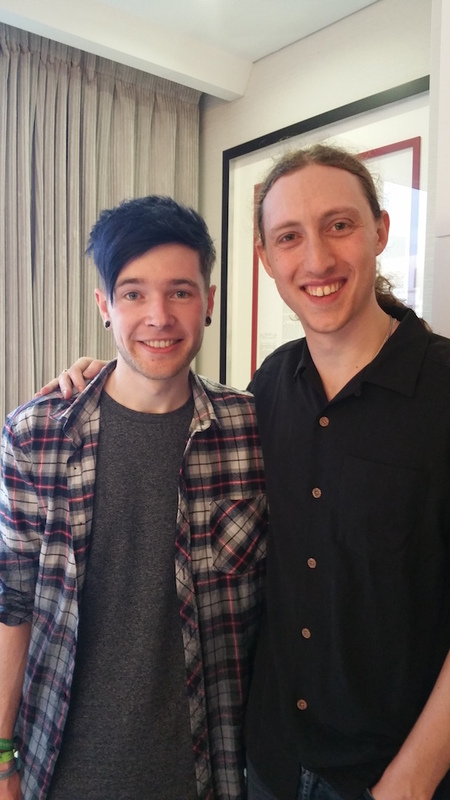 Today, aspiring YouTuber, Mikey (9), went with TBS regular Jordan King Lacroix to meet his idol, DanTDM. 10 billion views, 13 million subscribers, and now touring Australia. Better known as DanTDM, Dan Middleton is a 25-year-old professional YouTube personality and video gamer, estimated by Business Insider in 2014 to generate a yearly income anywhere between $213,000 and $2.15M (and that’s after factoring in the 45% cut from YouTube). 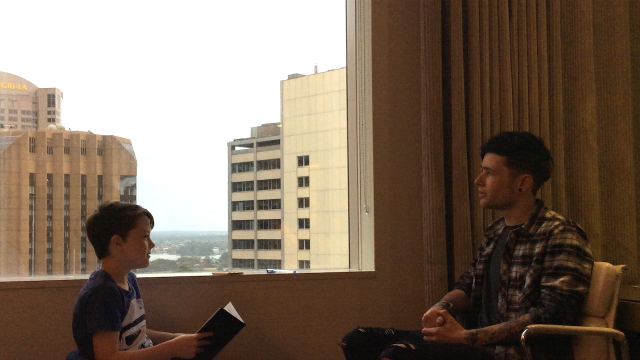 Accompanied by The Big Smoke‘s Jordan King Lacroix, aspiring YouTuber, Mikey (9), interviewed DanTDM to get some tips on how to follow in his idol’s footsteps. 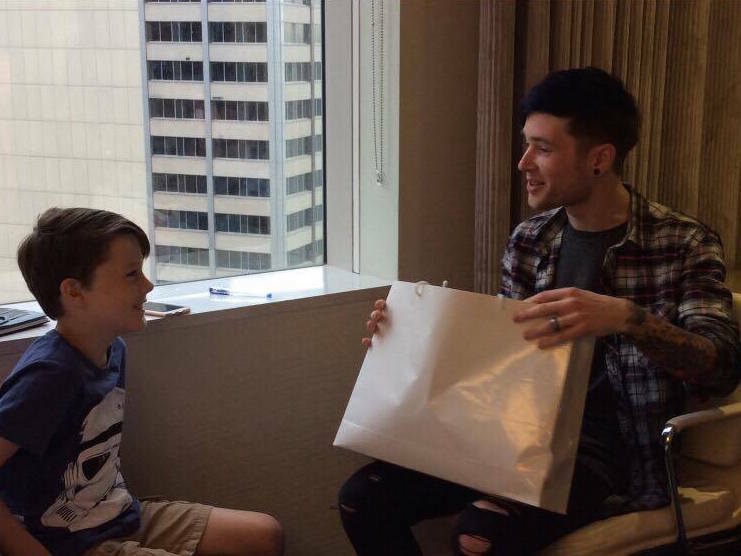 Mikey giving DanTDM a bag of Aussie treats, from Vegemite to Tim Tams. TBS Mikey: I imagine it was difficult starting out. How did you push through in the early days? DanTDM: Good question! As long as you enjoy what you’re doing, I think you can definitely push through and grow into something huge. Now it’s what I do for fun, but it’s on a much bigger scale. What is your favourite video that you have posted so far? That’s also a very good question. I have a lot of videos, so it’s hard to pick! I made this montage which I did like most of – I love videos that are cut together. The reason it’s my favourite is because I made it while I had a broken hand, so I did it all with my left hand, which I really think is cool. Who are your favourite YouTubers, and what do you like about them? I really like a lot of vlogs actually. I watch a lot of gaming stuff and I like a few vloggers that travel around big cities like New York, places that I haven’t been to. I love to see what other people around the world are into, it’s really interesting. How do you handle internet trolls? 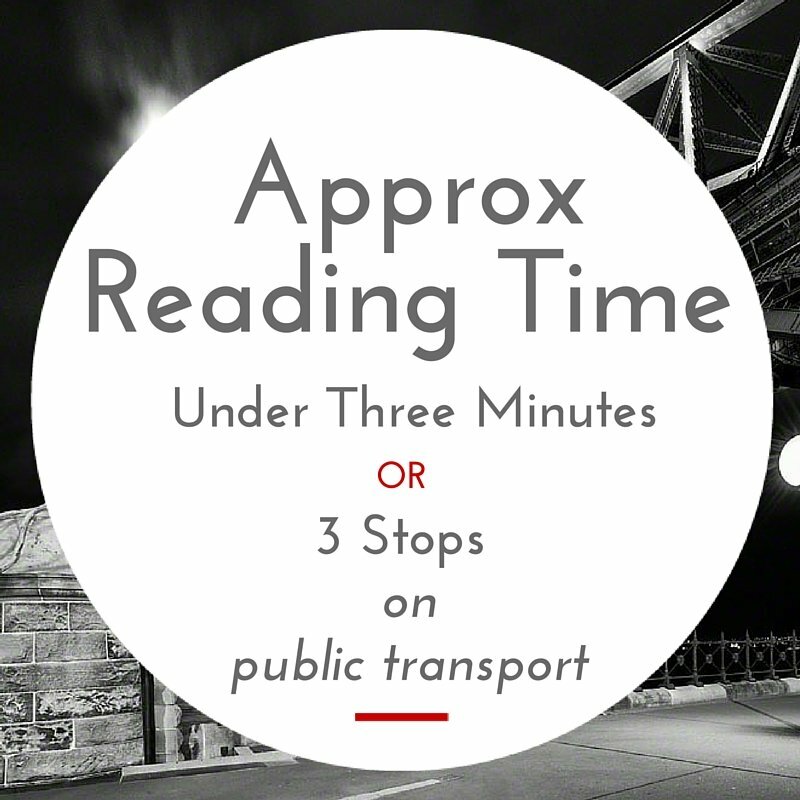 It’s quite difficult at first because you can let the comments get to you very, very easily. But it’s as simple as ignoring them. You just have to completely ignore them, focus on the positive comments and not let it affect you. If you could go back in time and give the 9-year-old version of you advice, what would it be? That’s a really good question. Practice your videos more before you start, haha! Get those bad ones out of you first… Or get better at video games! 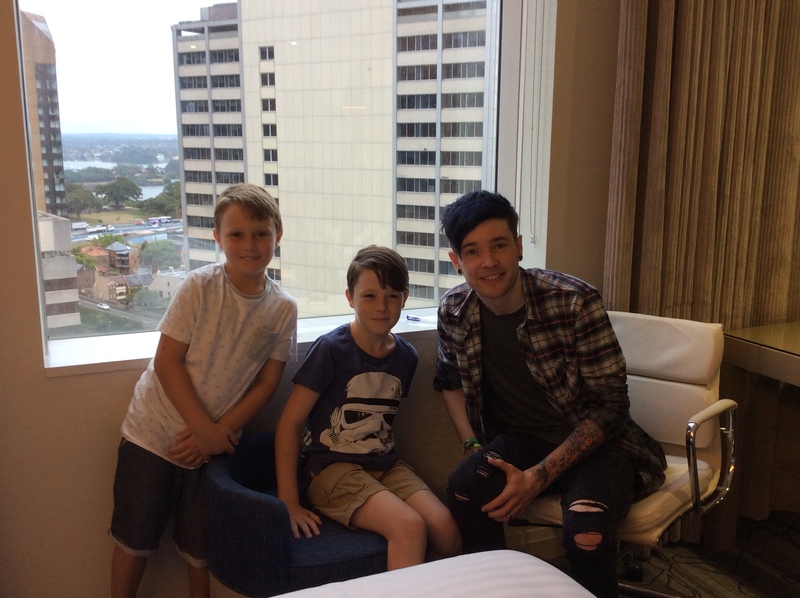 Jesse (Mikey’s little brother) and Mikey having the best day meeting DanTDM! What would you suggest aspiring YouTubers like myself should consider when launching their own YouTube channel? Practice. Every single day I learn new things. So practice, but also just have fun. If you’re having fun with what you’re doing your audience will also have fun watching as well. How do you decide on your content and what can we expect to see on your channel this year? It depends. I try to find new games all the time, but it’s not just finding new games but finding news games that will suit the way I create videos. And games that I enjoy playing. I don’t plan too much in advance, it’s usually whatever game I feel like playing when I wake up. Like today, Scribblenauts is starting, which will be really, really fun. So yeah, more of whatever new games I find. More Minecraft hopefully as well! 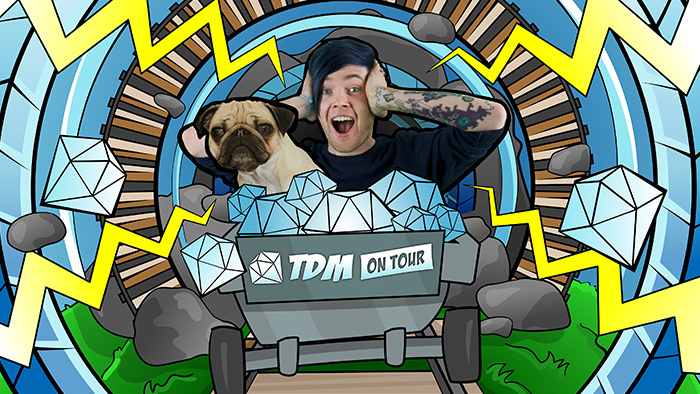 Following four sell out shows at The Sydney Opera House this January, we are excited to announce that DanTDM will be returning to Australia in September 2017!! Sign up to the mailing list to be the first to hear further details. Tickets will be on sale via DanTDMTourinoz.com in March, with tickets ranging from $39-$79 and a VIP package available. Michael aka MCMikey is an aspiring YouTube star and game developer. He loves science, dancing and plays the guitar. He would be happy to eat only hot chips for the rest of his life and his best friend is a dog named Millie.